This traditional Sukkah is completely pre-fabricated for quick assembly and is pre-packaged in one concise box for easy shipping and storage. The frame is made of aluminum alloy and magnesium making it sturdy and lightweight, and ensuring that they will not rust or corrode. The slip-on fittings we provide are strong and durable, with hardened set screws for easy assembling and dismantling. 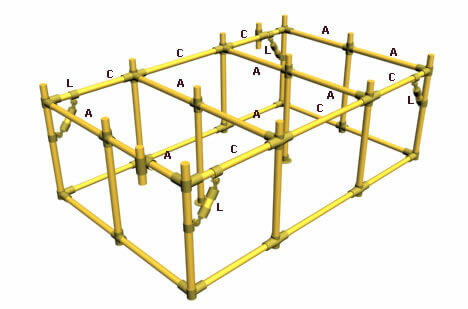 A hexagon key which we provide is the only tool needed. Our Sukkahs are made of two toned grey/blue mildew resistant canvas, and are beautifully silk-screened with Brochos, Ushpizen and Kiddush. Using the simple to follow detailed instruction sheet, your Sukkah can be up in as little as 30 minutes. All Sukkahs are equipped with a zippered door which can be partially or completely closed for your comfort and wind protection. The canvas is custom fitted, the corners reinforced and the fittings heavy and durable for extra support. A – (4) – (5’7″) 67″poles. 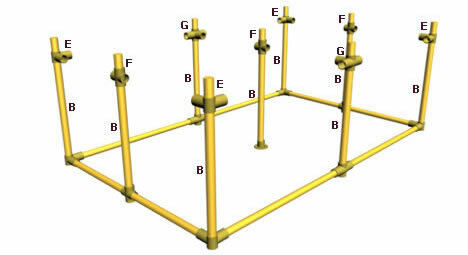 B – (8) – (7’4″) 88″poles. D – (1) – 6 Inch pole for door opening. 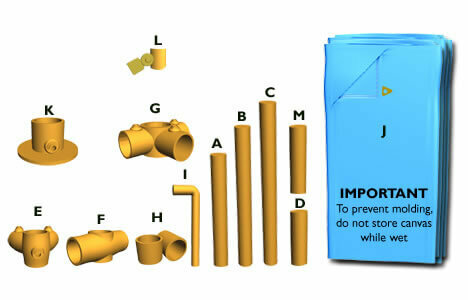 E – (8) – Corner fittings. 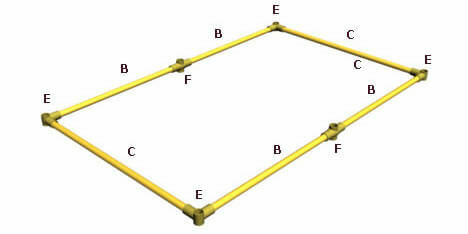 H – (1) – Cross fitting for door opening. 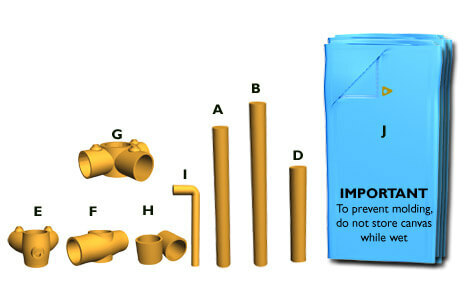 I – (1) – Hex key. J – (1) – Canvas. 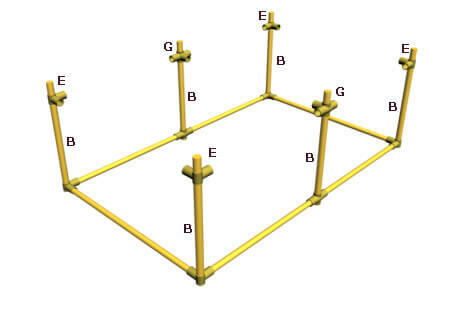 Lay out the poles & Fittings (screws facing up) in the shape of the Sukkah, Then insert poles into fittings, without blocking the hole for the upright, then tighten screws with the hex key till tight. Insert uprights into fittings till flush with the floor, and then tighten screws. Attach top fitting about 1 ½ inch down on the pole (fittings can be moved up or down to tighten or loosen canvas), and then tighten the screw until tight. Insert the (D) pole through door fitting (H) and tighten, then insert the (A) pole through the Fitting (H) don’t tighten before attaching canvas. First insert the (A) poles into fittings and tighten, then insert the (B) poles into fittings, and tighten. Continue round the Sukkah till reaching the door. 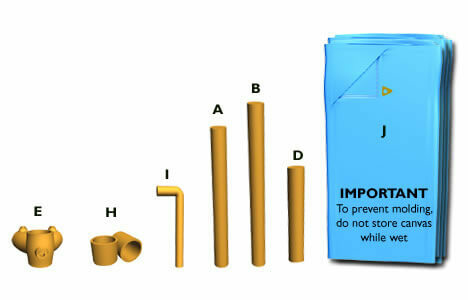 Adjust the door fitting (H) to the correct position for the door and tighten, then place last grommet over pole. Attach the door hooks over pole then attach the hooks to the canvas through the small grommets then close the hooks. 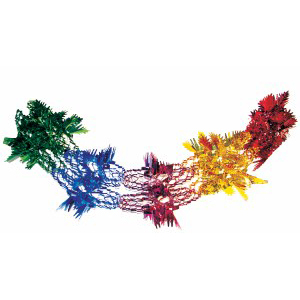 Attach Velcro to top & bottom poles of Sukkah. 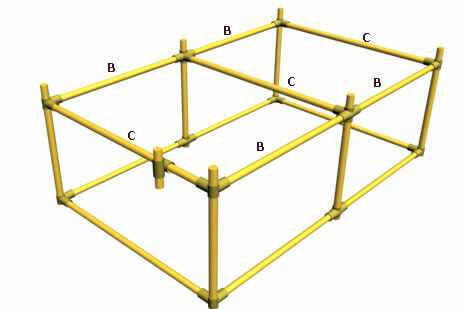 Note: Halacha requires that 2 pieces of wood be placed on top of Sukkah below the schach. 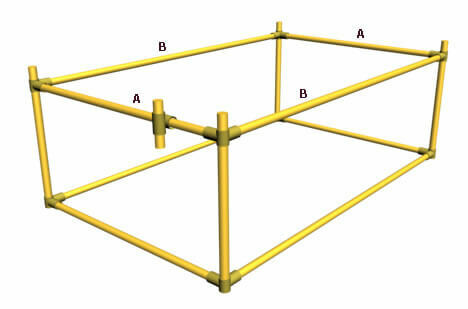 C- (4) – (9’3″) 111″ Poles. Then insert poles into fittings, without blocking the hole for the upright, then tighten screws with the hex key till tight. then tighten the screw until tight. 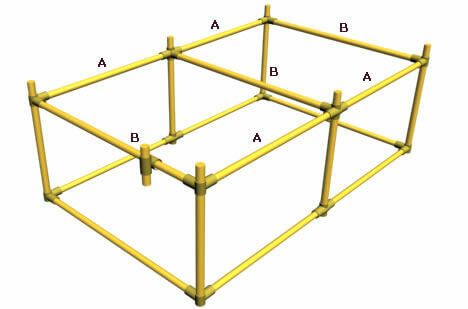 Insert the (D) pole through door fitting (H) and tighten, then insert the (B) pole through the Fitting (H) don’t tighten before attaching canvas. First insert the (B) poles into fittings and tighten, then insert the (C) poles into fittings, and tighten. 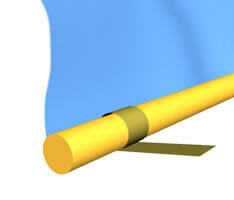 Unroll the canvas. On the top section (Lighter) there are gold grommets. Start with the corner of the canvas with the zipper, place the grommet over the pole, and push down till the fitting. Going counter-clockwise towards the back wall of the Sukkah. A – (8) – (5’7″) 67″poles. 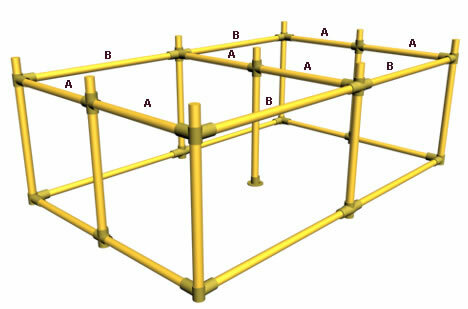 B – (11) – (7’4″) 88″poles. 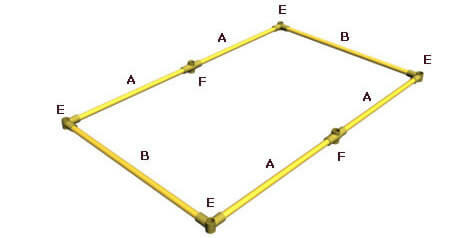 F – (2) – Tee fittings. 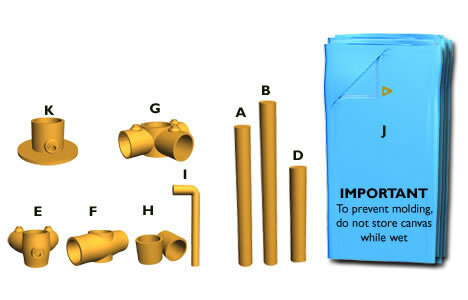 G – (2) – Three-way fittings. First insert the (B) poles into fittings and tighten, then insert the (A) poles into fittings, and tighten. 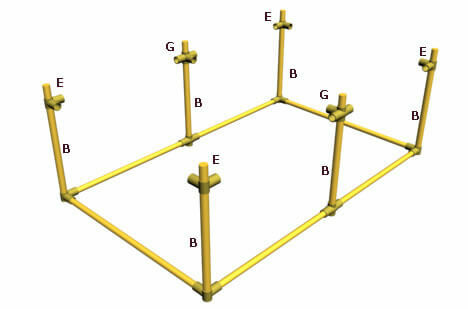 B – (6) – (7’4″) 88″poles. 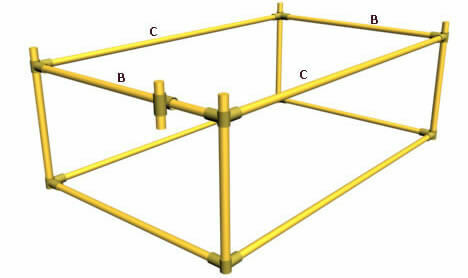 C- (5) – (9’3″) 111″ Poles. Insert the (D) pole through door fitting (H) and tighten, then insert the (C) pole through the Fitting (H) don’t tighten before attaching canvas. 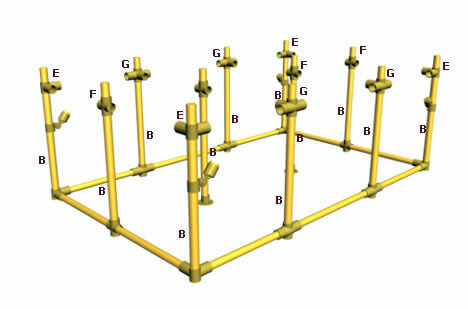 First, insert the (C) poles into fittings and tighten, then insert the (A) poles into fittings, and tighten. Unroll the canvas. On the top section (Lighter) there are gold grommets. Start with the corner of the canvas with the zipper, place the grommet over the pole, and push down till the fitting. Going counter clockwise towards the back wall of the Sukkah. B – (14) – (7’4″) 88″poles. 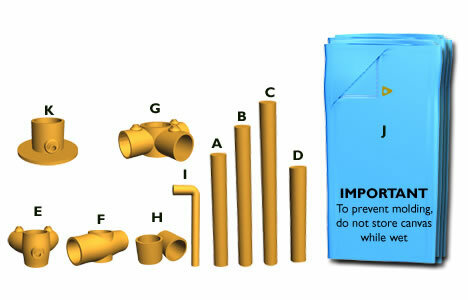 G – (2) – Three way fittings. Attach top fitting about 1 ½ inch down on the pole (fittings can be moved up or down to tighten or loosen canvas), and then tighten screw until tight. First insert the (C) poles into fittings and tighten, then insert the (B) poles into fittings, and tighten. and push down till the fitting. Going counter clockwise towards the back wall of the Sukkah. A – (10) – (5’7″) 67″poles. B – (17) – (7’4″) 88″poles. 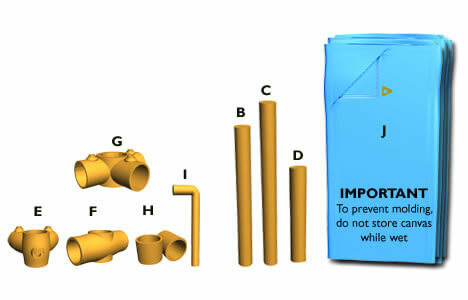 F – (7) – Tee fittings. 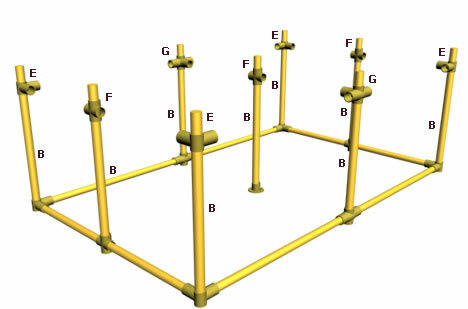 B – (9) – (7’4″) 88″poles. 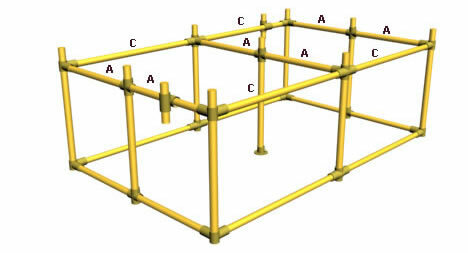 C- (8) – (9’3″) 111″ Poles. D – (2) – 6 Inch pole for door opening. 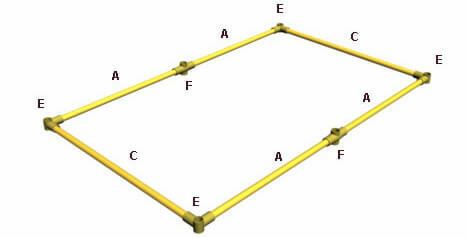 H – (2) – Cross fitting for door opening. A – (12) – (5’7″) 67″poles. B – (12) – (7’4″) 88″poles. C- (12) – (9’3″) 111″ Poles. 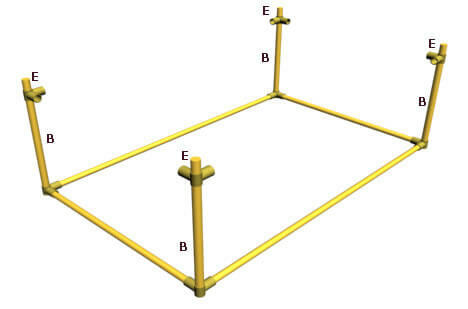 D – (3) – 6 Inch pole for door opening. 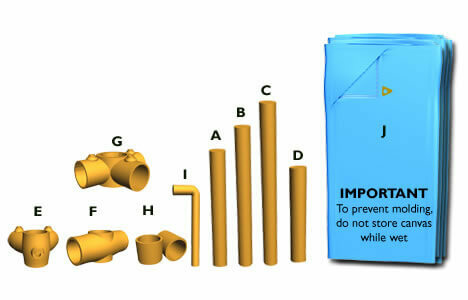 F – (10) – Tee fittings. 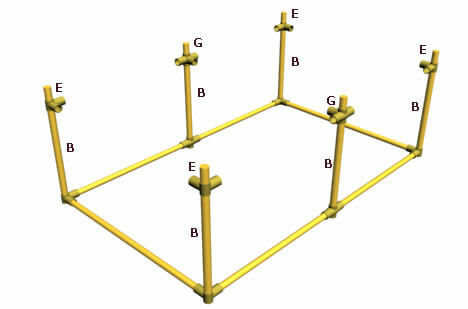 G – (4) – Three way fittings. 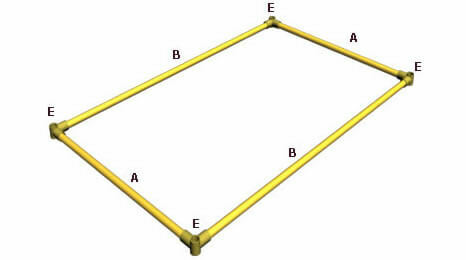 H – (3) – Cross fitting for door opening. Insert the (D) pole through door fitting (H) and tighten, then insert the (A) pole through the Fitting (H) don’t tighten before attaching canvas. 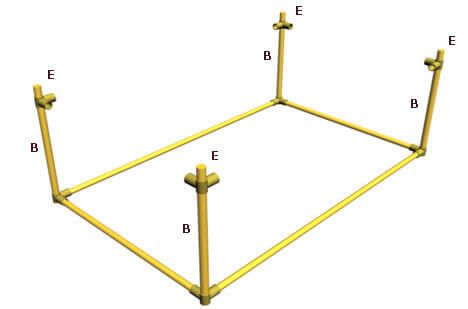 Insert (C) pole through angel fitting (L), for 4 corners of Sukkah. complete, insert (M) pole into (L) fittings and adjust for a tight fit.